Cloud storage is a model of data storage in which the digital data is stored in logical pools, the physical storage spans multiple servers, and the physical environment is typically owned and managed by a hosting company. These cloud storage providers are responsible for keeping the data available and accessible, and the physical environment protected and running. People and organizations buy or lease storage capacity from the providers to store user, organization, or application data. Cloud storage services may be accessed through a co-located cloud computer service, a web service application programming interface (API) or by applications that utilize the API, such as cloud desktop storage, a cloud storage gateway or Web-based content management systems. If your are small business owner, you probably don’t have tons of money to invest in IT services and infrastructure to make a safe vault for all important data you have. You need flexible solution that comes at low cost, but still enables you to take advantage of the cloud. Who wouldn’t want 50GB of free storage? That’s what Media Fire offers for free, but before jumping into it, there are a few points to consider. First, MediaFire’s free version includes ads and you can only upload files of up to 200MBs in size. That’s fine for most purposes, but you can forget about using it for archived backups of your system or video. You can also only download files from a folder one at a time – you can’t download an entire directory at once. Media Fire supports Linux, Mac OS X, and Windows on the PC side of life, and Android and iOS on devices. Alas, even with its Media Fire Express program, it doesn’t integrate with your file system. There is no doubt that DropBox is the simplest cloud storage solution available and allows you to shoos from a wide range of storage space available. You can also sign up for a free account in Dropbox and get a few GBs of free space. If you invite your other team members to sign up for Dropbox, you will get extra free space for life. Dropbox offers flexible business storage accounts labeled as Dropbox for teams. These are suitable for any business size, ensuring optimal encryption and data security on reasonably low price. Google Drive takes the tried and true Google Docs cloud-based office software and adds simple, easy to use file storage to it. As Google has continued to improve Drive, I’ve grown to quite like it. Like Dropbox, Google Drive automatically syncs with the cloud so that everything is consistent across all of your devices. Also, like Dropbox, it integrates with Windows and Mac file systems. Another notable feature is that Google Drive enables you to share and collaborate on any kind of file, including documents, music, image, and videos. Any content you create in Google Docs doesn’t count against you storage quota. 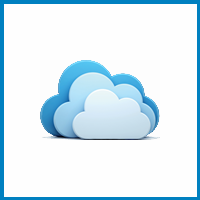 Just Cloud offers flexible cloud storage service, which enables you to create a free account and host unlimited files for free. You will receive 500 GB storage space, which is enough to store your files for quite some time. If you need an upgrade you can get it for a reasonably low price. Like most of the cloud services, SkyDrive lets you save, share, and access files, but on most operating systems, you must use it through a browser: IE by choice, but it will work with others. However, SkyDrive does work hand-in-glove with the Windows 8 file manager. It also works well in partnership with Microsoft Office. Like Google Drive, it comes with its own cloud-based office software: Office Web Apps. Apple iCloud comes with 5GB of free storage, but it’s more than just storage. Music, apps, books, and TV shows you purchase from the iTunes store, as well as your Photo Stream, can also be stored and streamed from it, and none of the purchased media counts against your storage quota. In addition, Apple’s iCloud gives you not just storage and an online music server, but apple’s wireless services as well. These include contact synchronization, its own email service, mobile backup, and location awareness. This service is suitable for small business owners, who have larger files to store. If you need to store videos and photos for example, 500 GB will run out pretty fast, so with Live Drive you can get extremely fast cloud storage space of 2 TB or more. The best thing about Live Drive is that you will be able to get your money back 30 days after ordering and also instant activation for your storage account. This service is more of a business-collaboration and work-flow solution than a storage service. If that’s what you want, it’s well worth considering. For example, the business editions of Box come with robust permission options that lets you call the shots on who can view and edit various files. Box’s basic free version offers 5GB of free storage. You can sync files between your Windows/Mac PCs and the cloud, and vice versa with the Box Sync program. Box also supports Android and iOS devices. It does not, however, integrate with your file system. When you think Amazon and clouds, you probably think about Amazon Elastic Compute Cloud, the biggest public cloud service. But Amazon’s services aren’t just for corporations. Amazon Cloud Drive provides 5GB of free storage. When it was first introduced, you could also use it to stream music. Now that functionality is in a separate service: Amazon Cloud Player. With this latter service, you can upload and steam up to a rather minimal 250 songs to Windows PCs, Macs, and Apple and Android devices.